What role does omega 3 play in the reduction diet? 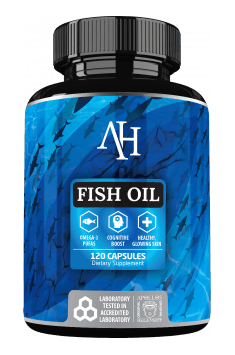 Unsaturated Omega 3 fatty acids have a huge impact on the health of the body and human well-being. They are the building material of our tissues and internal organs.They support the work of the cardiovascular system and are necessary for the proper functioning of the nervous system.According to many people, Omega 3 acids are very important especially during weight loss.Others, however, question their positive effect on weight reduction.It is therefore worth checking whether these acids really help in getting rid of excess weight. Unfortunately, the first information will not be good for those who are looking for miraculous slimming agents.Studies carried out in recent years have shown that Omega 3 acids do not accelerate fat burning. The study participants were divided into two groups. The first one received Omega 3 capsules on a daily basis, while the other took placebo capsules.It turned out that there is no difference in the rate of fat reduction between people taking Omega 3 and people receiving placebo.Still, many dieters recommend acid supplementation during a reduction diet.This is related, among other things, to the fact that Omega 3 limits hunger, thanks to which perseverance on the diet is easier.The ability of these fatty acids to reduce appetite was confirmed during the course of the study, which consisted of administering one group of low doses of Omega 3 and the other high ones. People who received more fatty acids less often complained of hunger than those who received a lower dose of Omega 3. There are other reasons why Omega 3 is recommended for overweight people.Among the properties of these acids are cholesterol reduction, pressure reduction and increased insulin sensitivity.Omega 3 therefore help in preventing health problems that are particularly exposed to people who are overweight. The sources of Omega 3 fatty acids are marine fish such as salmon, mackerel, sardines, herring and tuna, as well as marine algae, walnuts, almonds, pumpkin seeds and linseed.The diet of the average person does not fully cover the demand for these acids, so it is worth to opt for supplementation.Both Omega 3 products, such as Now Foods, are available on sale, as well as products that also contain other healthy fatty acids, for example Omega 3-6-9 from Trec Nutrition. Combined preparations deserve special attention because they provide all fatty acids important for the human body. Although the use of Omega 3 acids reduces appetite, sometimes their effects may be too weak.In the case of a great appetite, you can reach for special preparations that are designed to control your appetite.